The Berkeley Castle Project (BCP) began in 2005 and set out to excavate and explore the archaeology of Berkeley Town, Gloucestershire.The annual excavations are tied to the formal curriculum. Within the BCP sits the “Engagement Team”, which students can elect to join, and which I manage in parallel to excavations. Engagement is fundamentally embedded within research, and teaching and learning efforts of the Department. 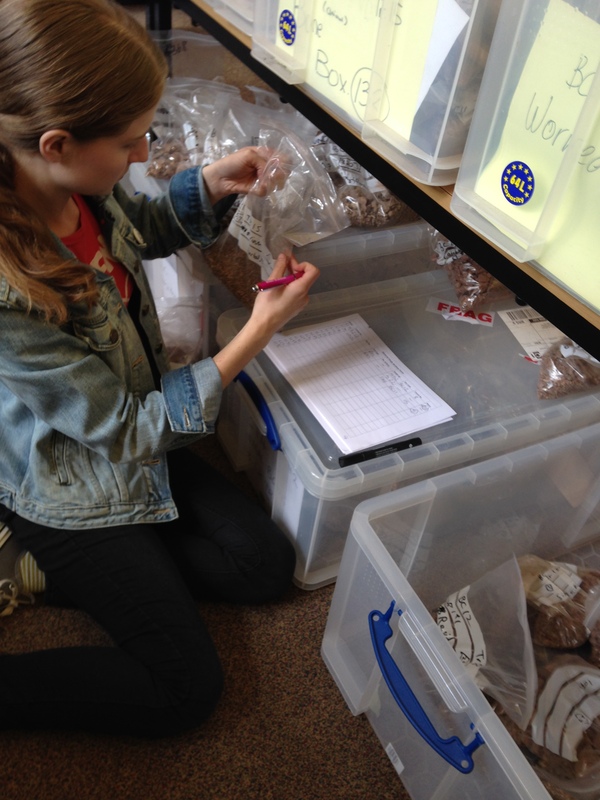 Over the past three years, engagement efforts have placed students at the heart of community and public engagement, through free tours, artefact handling sessions, social media, etc.Students take their knowledge of archaeological research and hands-on fieldwork experience at Berkeley Castle, combined with their classroom learning, and transform it into a tangible engagement output. This is an excellent example of research-led teaching taken into engagement activity. The Town Museum Project is one of the many ‘mini projects’ co-run by students. All students are welcome to join the Engagement Team! Students are drawn from all levels, including first, second, and third year, and masters students. This provides an excellent opportunity for students to learn from each others, regardless of academic level. Of great importance is the chance for students at all levels to develop practical real-world skills. The Berkeley Castle Project began in 2005 and set out to excavate and explore the archaeology of Berkeley Town, Glous. Over the past ten seasons of digging, the project directors delivered numerous public talks and tours, and we received media attention at home and abroad. In 2013, I spoke with the directors about the possibility of starting engagement efforts to build further on this work, to include social media and more diverse engagement projects. This would benefit the profile of the dig, improve student skills relating to public engagement, and help ensure that the local community felt part of the project. A community engagement event in 2014 was the start of welcoming the community’s comments on the project and was a great success (supported by a grant from the University of Bristol’s Green Apple Scheme). We also created more blog and video content, fun online quizzes and even archaeology top trumps! This sat alongside the free “artefact handling” sessions offered to every visitor (a selection of artefacts that students talk through with visitors and allow them to touch and explore). 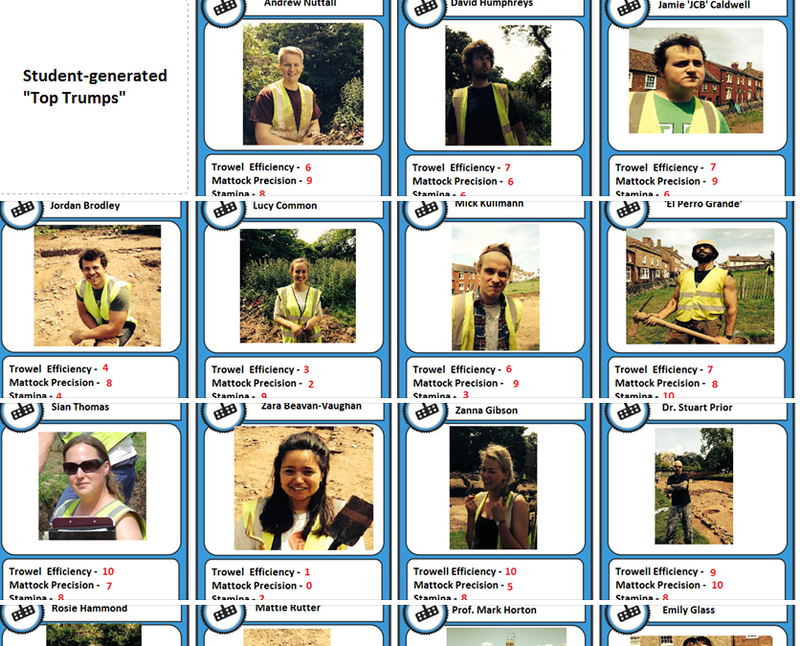 Fun, downloadable archaeology Top Trumps – another student idea! One of our students used specialist skills to develop a 3D model of one of the excavated buildings! In 2015, we aim to continue these offerings and go even further. 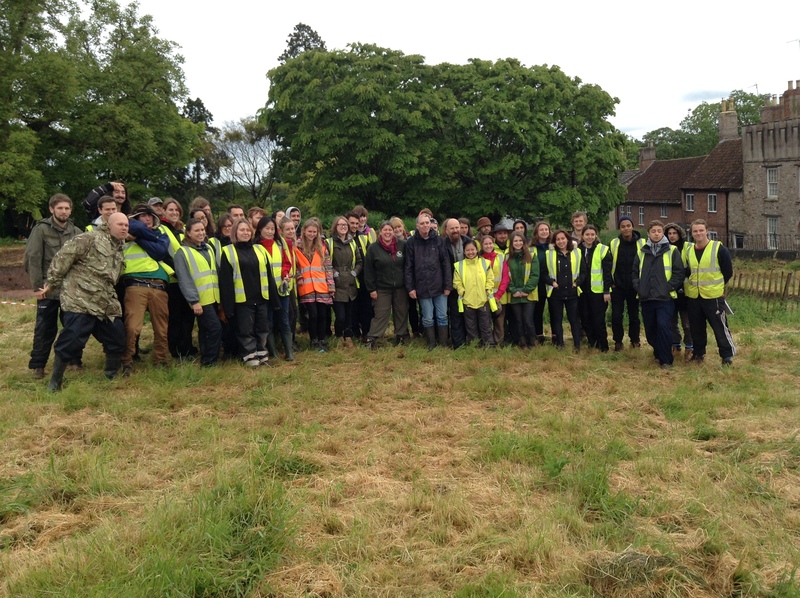 We incorporated engagement training into two undergraduate courses in November 2014; Post-Excavation Techniques (2nd year) and Managing the Past (3rd year). These units are tied the excavation and every student who takes them must partake in two weeks of fieldwork. 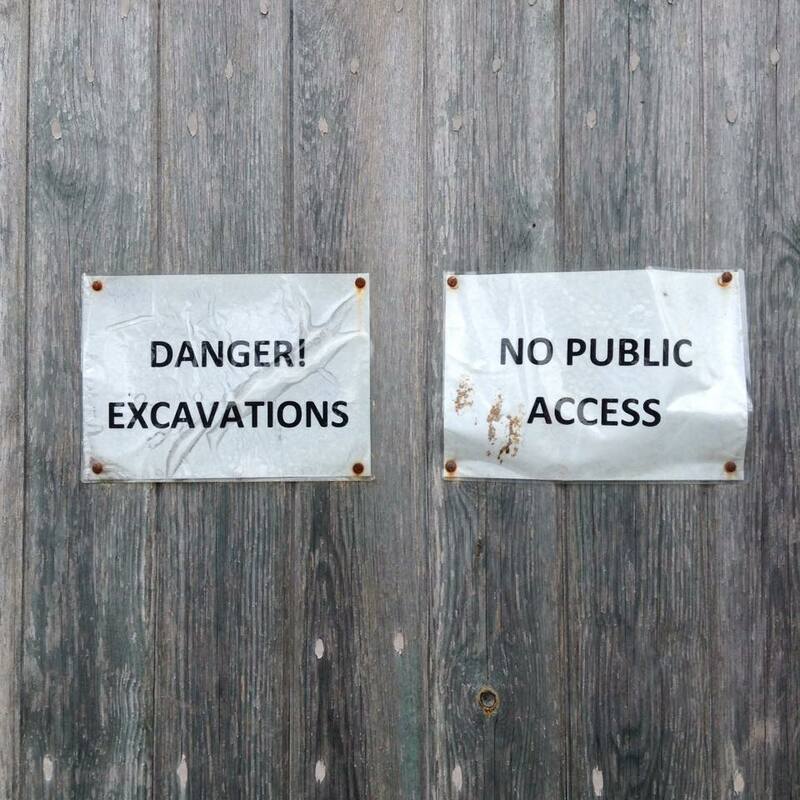 In Post-Excavation Techniques, we explored communication strategies, covering the nature of final archaeological publications, types of report strategies, grey literature, open source content, public consumption of research materials, future proof publication and interpretation. This included assessing how findings and elements of research papers and publications are re-interpreted in the press and via social media. The sessions covered ethics on a global scale, as social media engagement with the public is an ethical concern for heritage, academia and general archaeological practice. In Managing the Past, students reflected on how social media is used within different areas relating to their discipline and how it can enhance their employability. They assessed museums, archaeological companies, universities, international bodies like UNESCO, etc., critically reflecting on the content and stylings offered by these bodies. They also considered their own public profile and what steps they might take to utilize social media to enhance their employability and professional profile, thus supporting career skills development. Managing the Past: Students improved their learning in a number of fields, but particularly: (87-100%) credibility; press releases and the press association; critically assessing how archaeology is presented in the media; and (67%) communication strategies; ethical issues; social media; and public engagement. 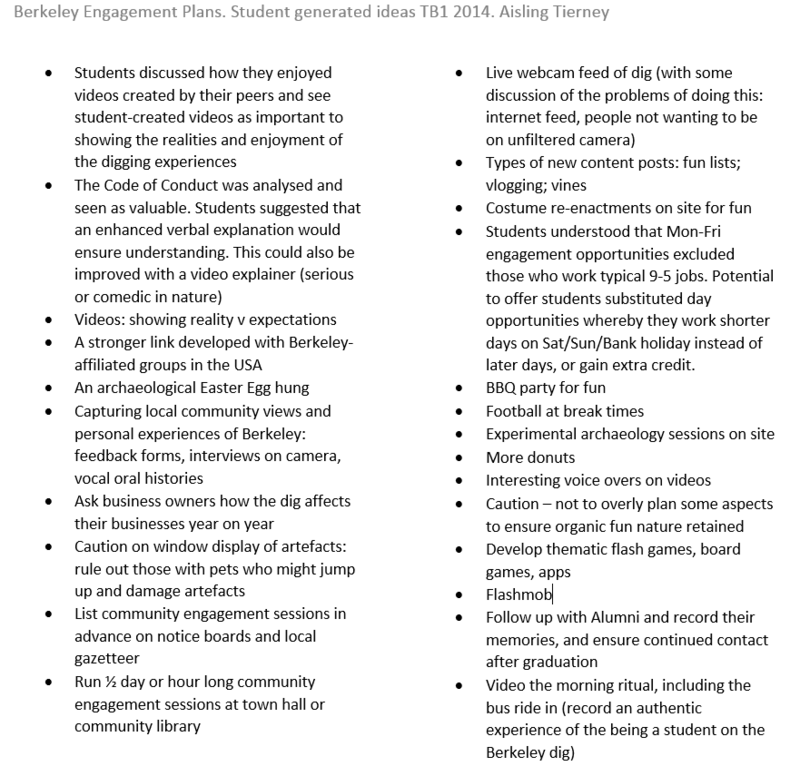 Within both units, student ideas for engagement at Berkeley were explored within three informal seminar sessions. Here’s a snapshot of the student suggestions. The above suggestions will be incorporated into the Engagement Team planning stages. It is hoped that many of the ideas can be worked in to implementation, so as to ensure all students feel involved in engagement, even if they do not elect to join the Engagement Team. Inviting student ideas ensures that they feel part of the project and know that their voice is respected. This can also encourage personal investment and dedication into the department’s efforts. Following teaching, the next stage is recruitment for the Engagement Team who work alongside the excavation at Berkeley. Here, students practice the skills developed in the classroom in a real world environment. An innovative “Town Museum” community project. This places excavated artefacts on display in homes and businesses alike to create a town exhibition where the community become curators of their own past. Both projects transform University research into outputs that deliver tangible educational and engagement impacts, and ensure that students gain valuable experience of project planning, management and delivery. Health & Safety prevents public access, but we try to work around it! Over the next month, I’ll be reporting on what the students and I get up to at Berkeley. Stay in touch: www.facebook.com/digberkeley | www.twitter.com/digberkeley. What is Map Orkney Month? 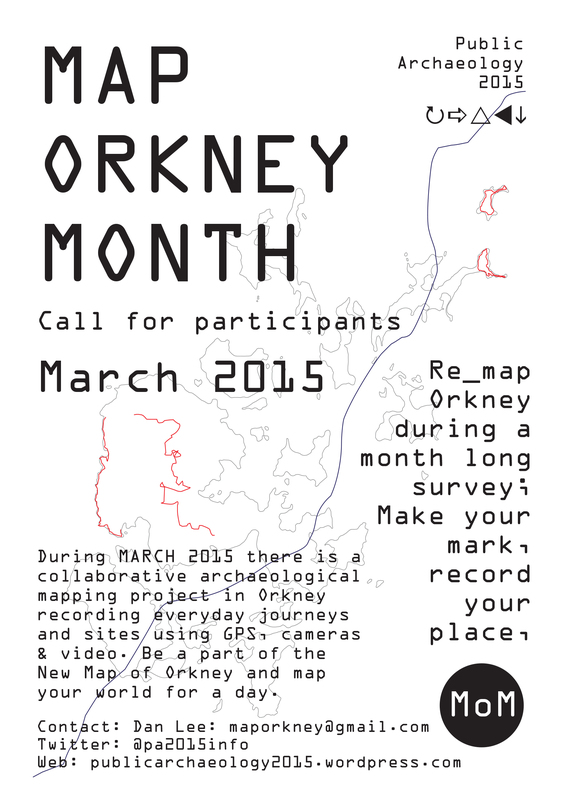 Map Orkney Month is a large scale public mapping project running for the whole of March 2015. The idea is to make a new map of Orkney from people’s everyday journeys, places and ideas of heritage, a kind of island-wide archaeological survey. The result will be a collaborative map of usual geographies, daily journeys and new sites: a strategy of Contemporary Archaeology counter-mapping set to create new possibilities and encounters. Map Orkney Month aims to generate future heritage: maybe someone will follow the trail? MoM encourages participants from outside Orkney. Imaginary journeys / sites can be emailed and included in the map, helping blur the distinction between conventional maps, survey and situated / imagined knowledge – the project is as much about the event and the process of mapping, as it is about the final map. This can include memory work. Perhaps you have been to Orkney before and remember some journeys and unusual places? Carry a small GPS receiver for a day (I have several to lend out – turn it on first thing in the morning and off at night). This will automatically map your movements for the day and store them. You can walk, run, cycle, ferry, drive or fly within Orkney– it’s your call. You are encouraged to briefly record one place or site that is significant (or insignificant) to you in some way: location, written description, photos or video – it’s up to you. This will be added to the map. You can use your own GPS if you have one (this would make things easier!). Just save your tracks / waypoints for the day and email me the .gpx files. Alternatively, you can use your mobile to track your day using one of the numerous tracker apps- please save these as .gpx or .kml files and email. The new map of Orkney will be compiled with a list and location of everyone’s sites. This will be published in a leaflet available free in paper and PDF formats. I’m also open to suggestions and keen for MoM mappers to help guide the final stages – maybe you have other ideas (I can teach you some basic mapping & IT skills in return). Just email maporkney@gmail.com with suggested days within March 2015 (preferably within the first 3 weeks) when you can undertake your mapping. There will be a number of participants involved and days will have to be arranged where possible if you need to borrow a GPS. If you use your own GPS or mobile phone, then it’s really up to you! For those outside Orkney, just use your imagination during the month and email your tracks and site coordinates/description.